Lifting Day, today! I found some new dumbbell complexes to do, for this second set of four weeks (I'm taking my training in 4 week increments. It's manageable, that way.). The internet is a wonderful thing, in that light; you can literally find ANYthing. When I am not sure how to do an exercise, you can YouTube 450 million different how-to videos. Love it. All done with 20 pound dumbbells, 4 complete rounds. This new one is a bit evil, I have to say. Squats and Thrusters in the same rotation really get you breathing and your heart pumping! Yeehaw! I was definitely pushing on the last set of thrusters (dude. Getting 40 pounds of weight over your head, after squating, on your last round is a decided test of will. ), but I feel good. Got through it, good form, good times. 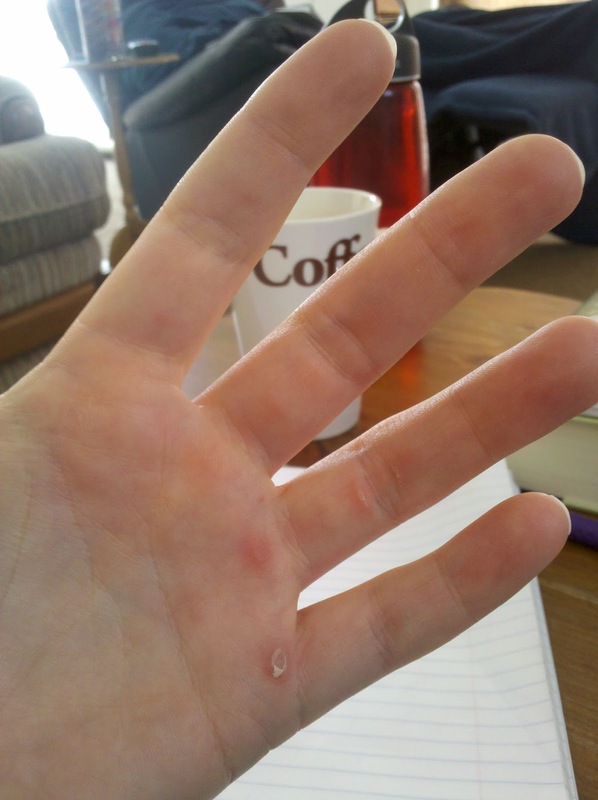 I would also like to report I have my first official set of weight-lifting related blisters. LOL. Guess my palms are going to need to toughen up a bit. Anyway, feeling good today. Happy, Healthy, Positive. Tomorrow's run is a bit daunting, but nothing I can't tackle. I've done harder things! (Like losing 65 pounds to date, committing to this training plan, etc.) As today's quote says - "You are really never playing an opponent. You are playing yourself." With that, I'm off to find something healthy for lunch (which gets a little tricky when you've haven't gone grocery shopping...), and get on with the day!